On Thursday, January 24, Discover Downtown Tour goers were given the opportunity to get an early look at The Saint Raleigh in the Glenwood South district of downtown. 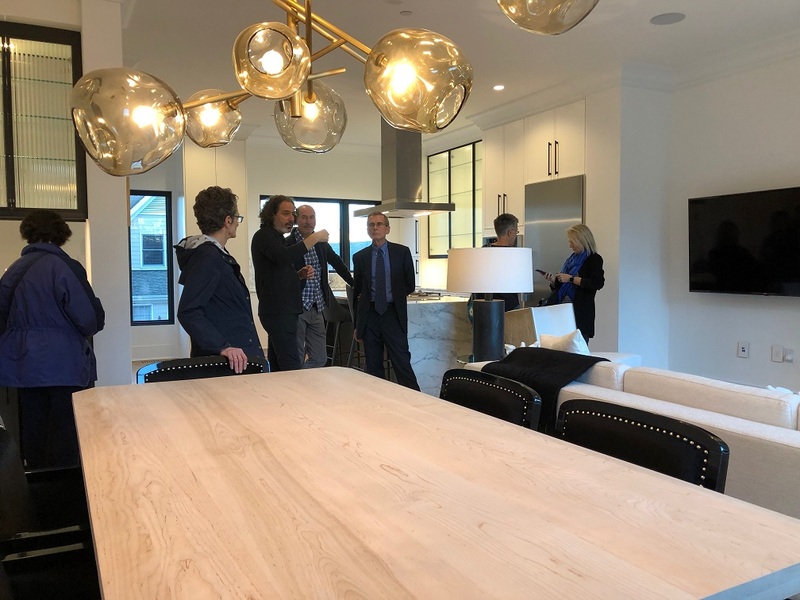 The tour consisted of an open-house style walkthrough of one of the 17 unique four-story modern Brownstone townhomes with open floor plans, oversized windows, European-style kitchens, and bathrooms lined with marble. The four-story brownstones will range in size from 2,700 square feet to 4,400 square feet, making them some of the largest townhouses in the Triangle. The units will feature elevators, rooftop gardens, two-car garages, European-style kitchens and loads of other expensive touches. View a video tour on our Instagram page.